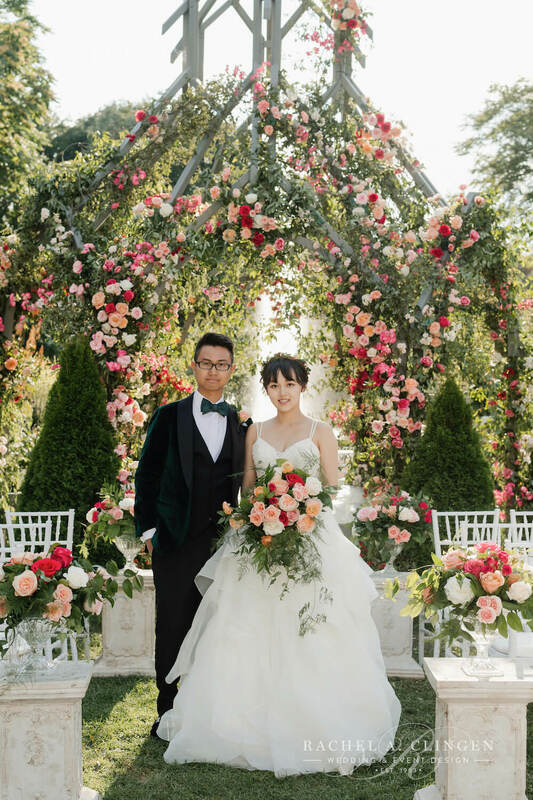 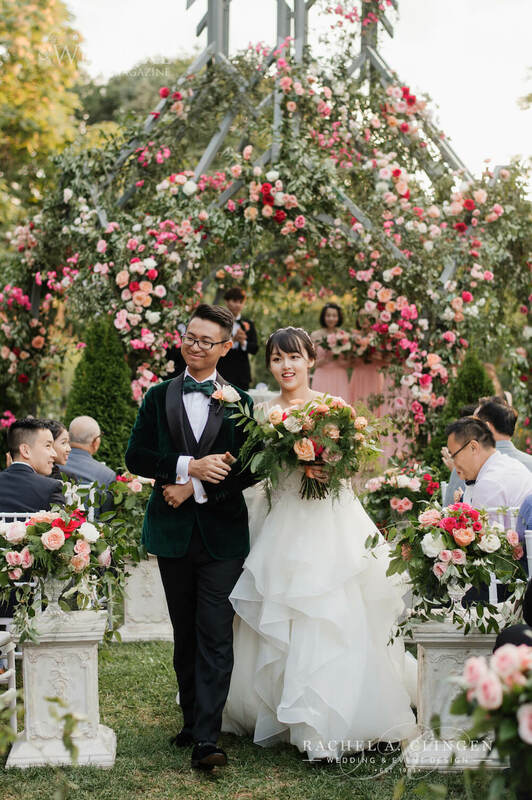 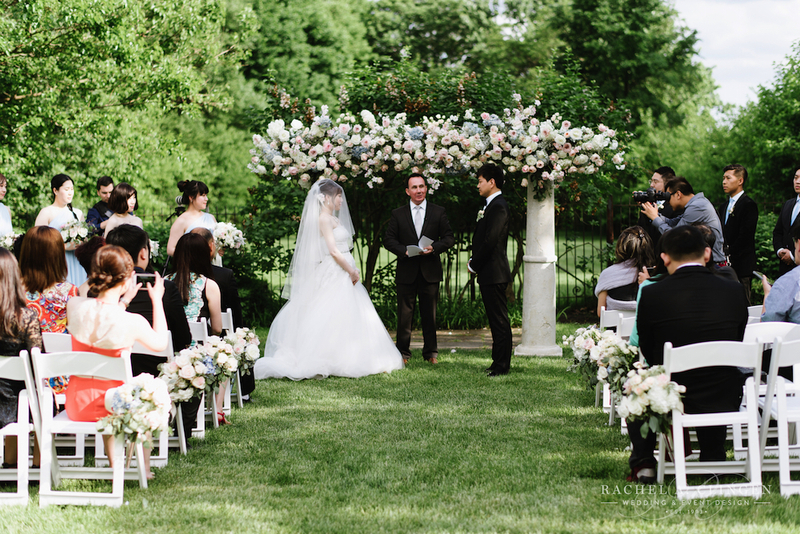 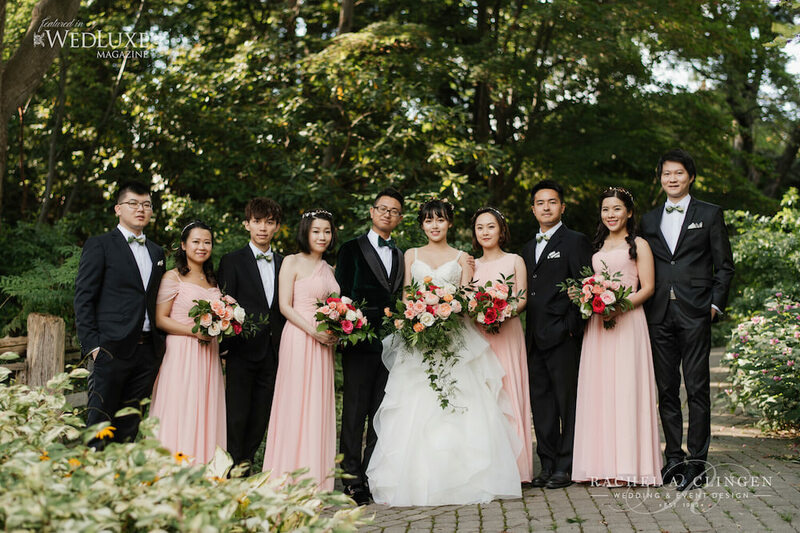 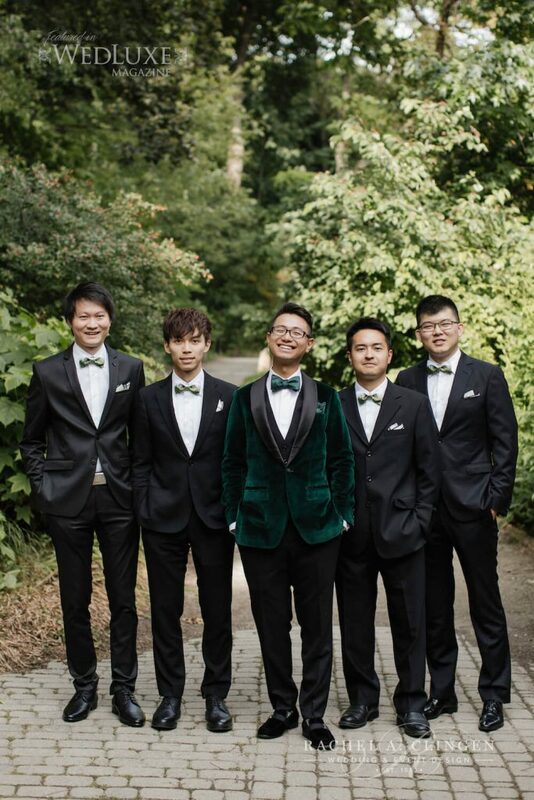 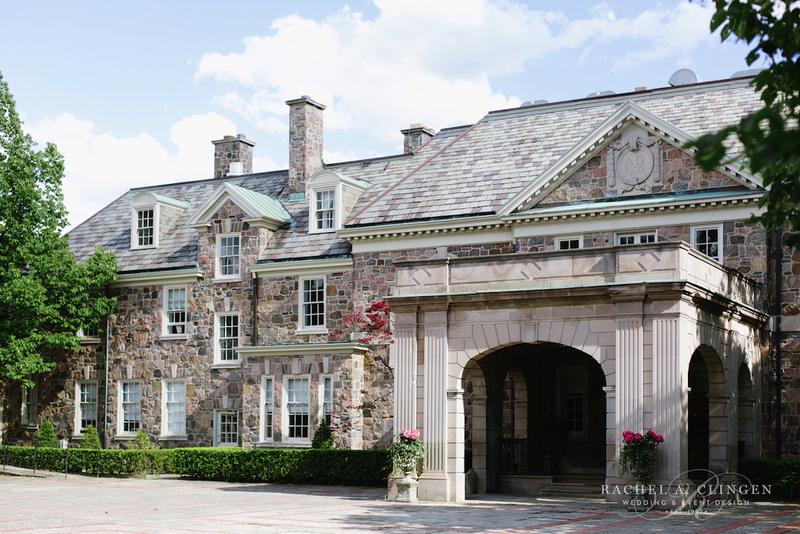 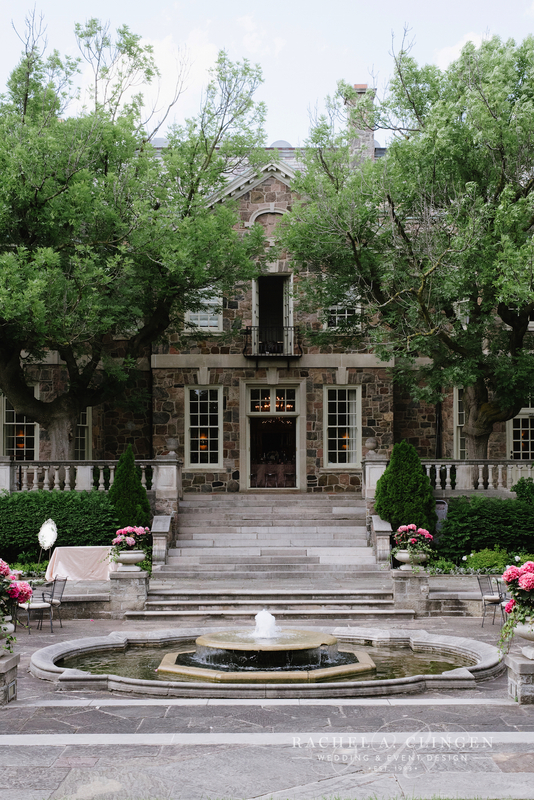 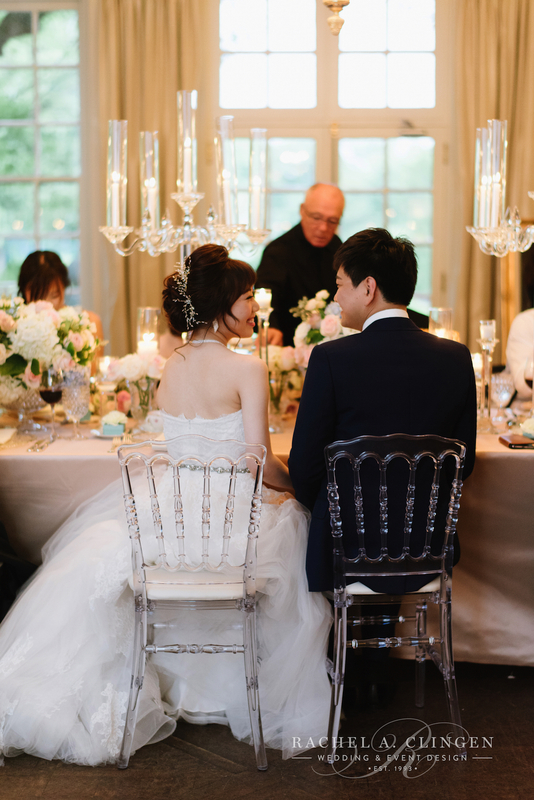 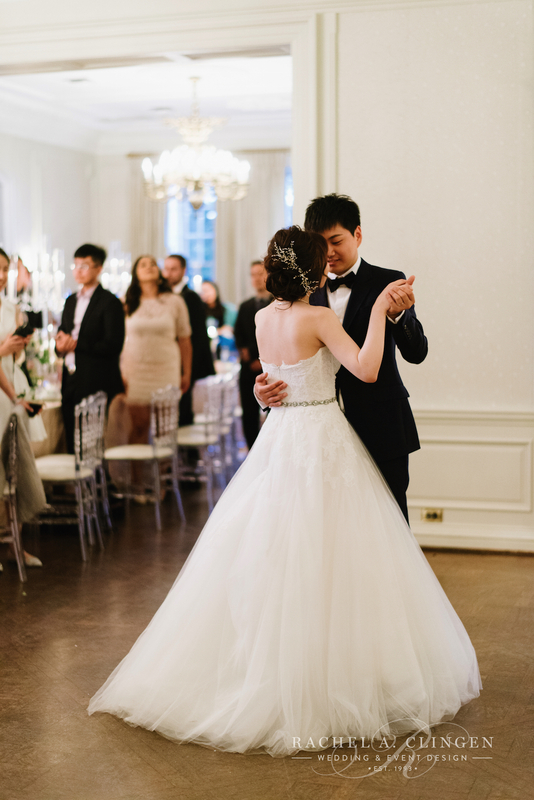 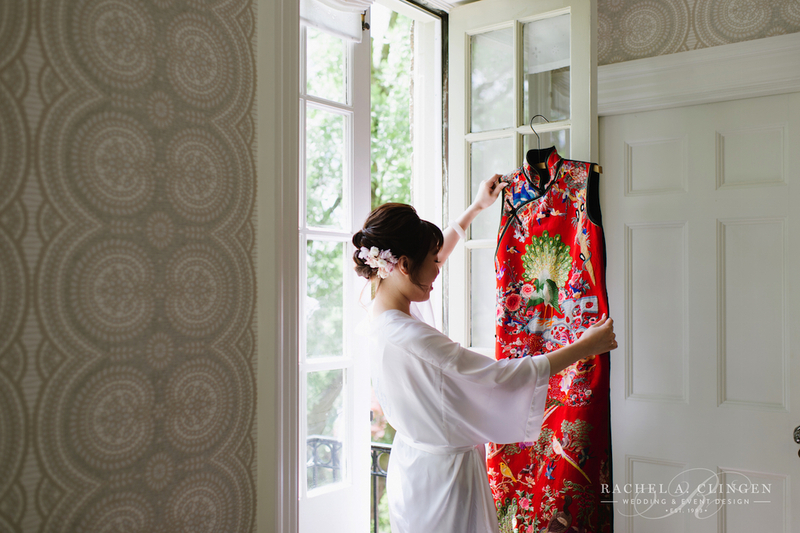 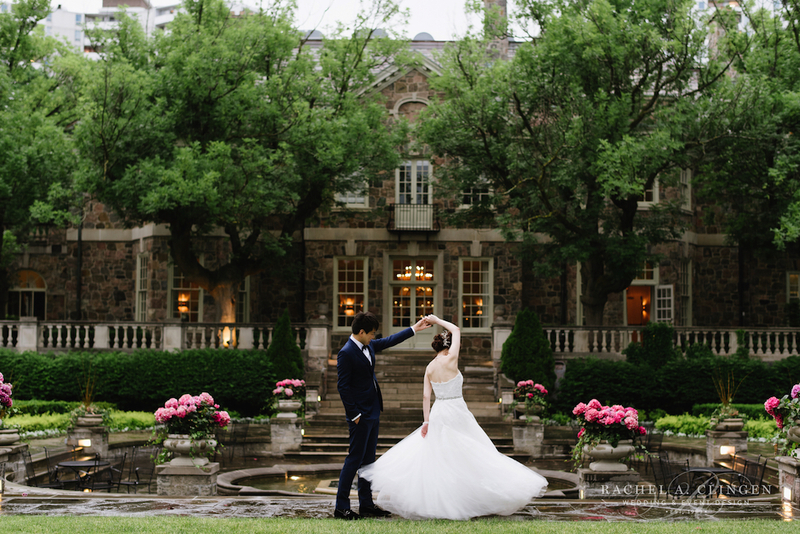 Leo and Wei’s summer Graydon Hall Wedding in Toronto was an elegant affair and loaded with all things pretty. 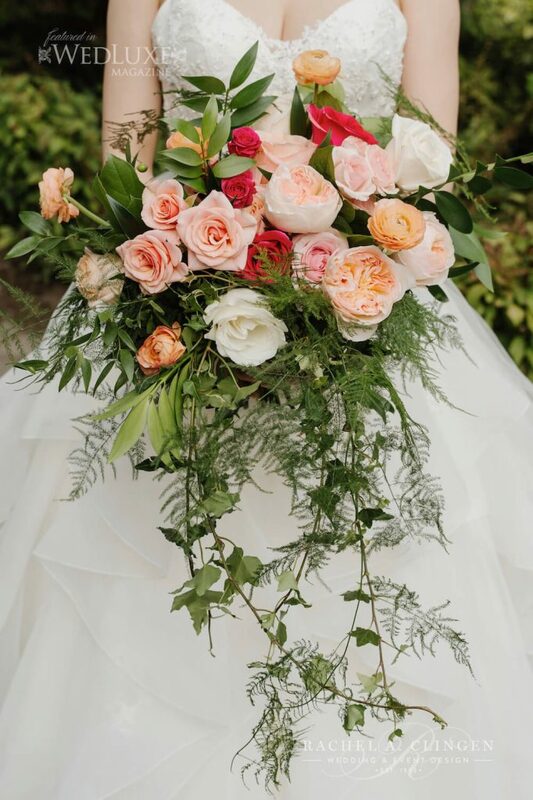 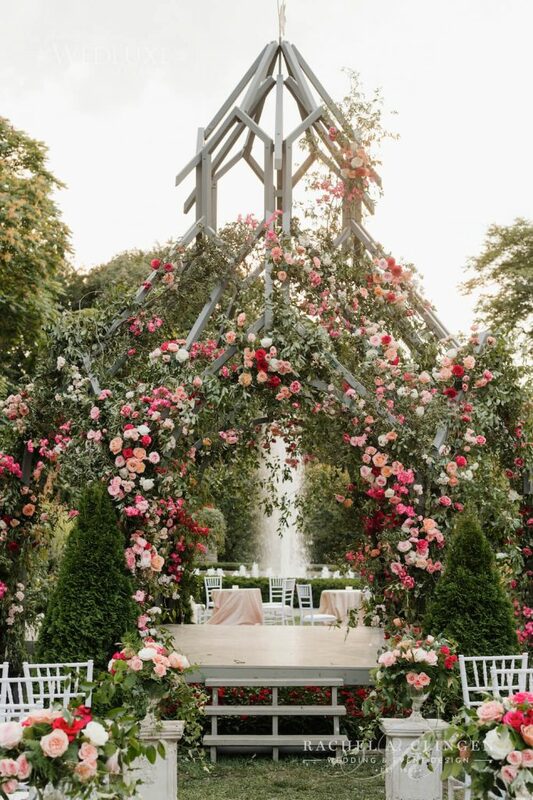 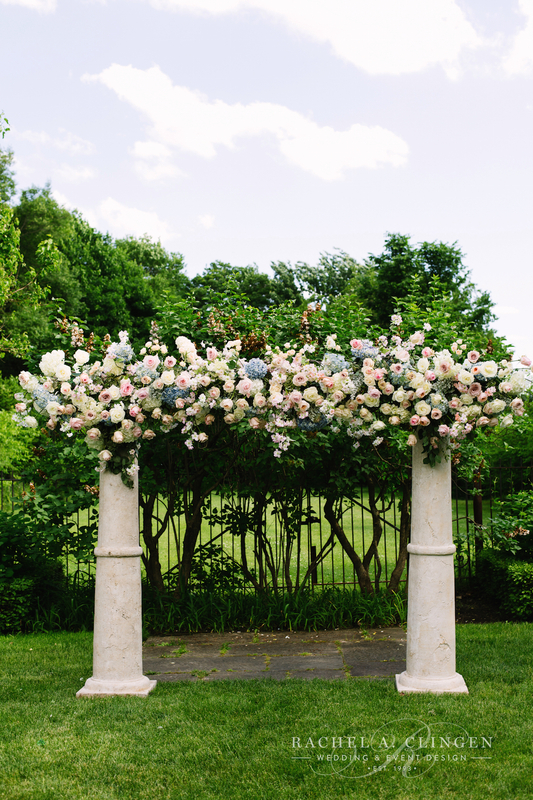 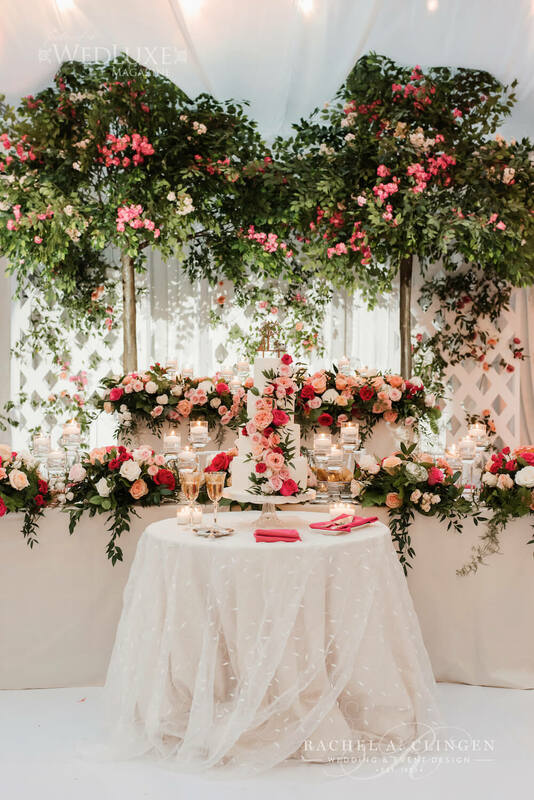 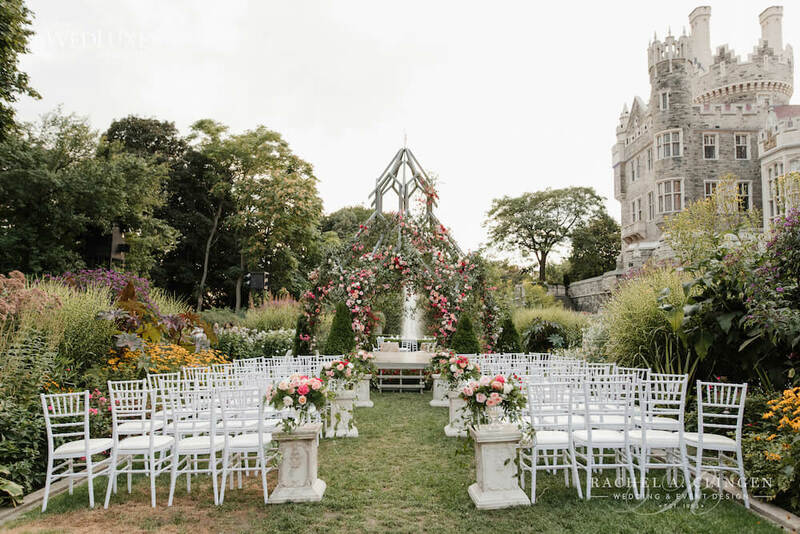 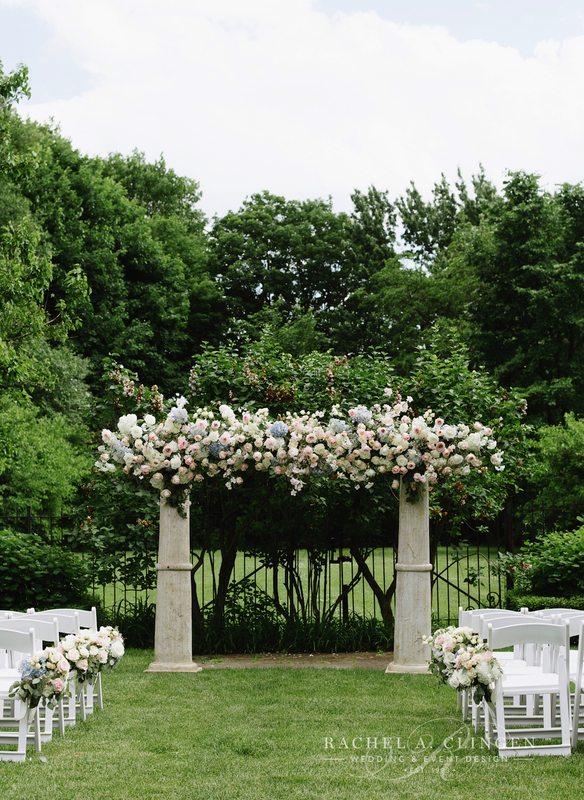 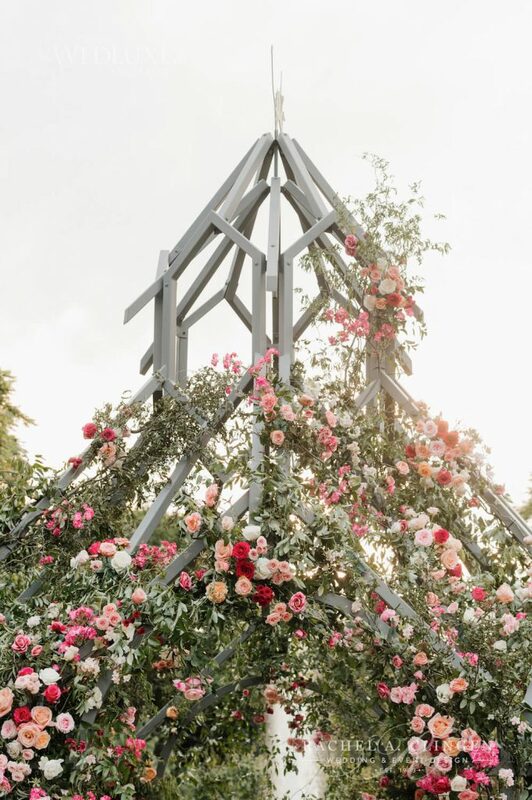 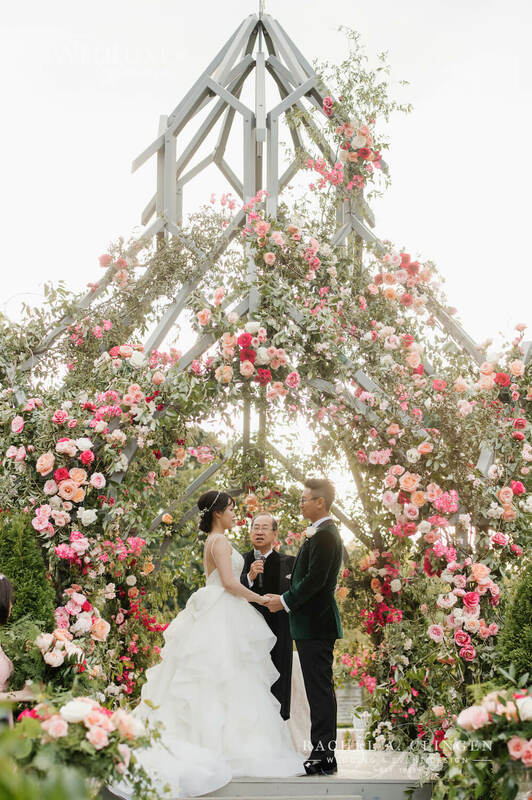 Although, their garden ceremony was complete with a stunning custom floral arch and had guests swooning, their reception kept each one in awe of all the pretty details, flowers and decor. 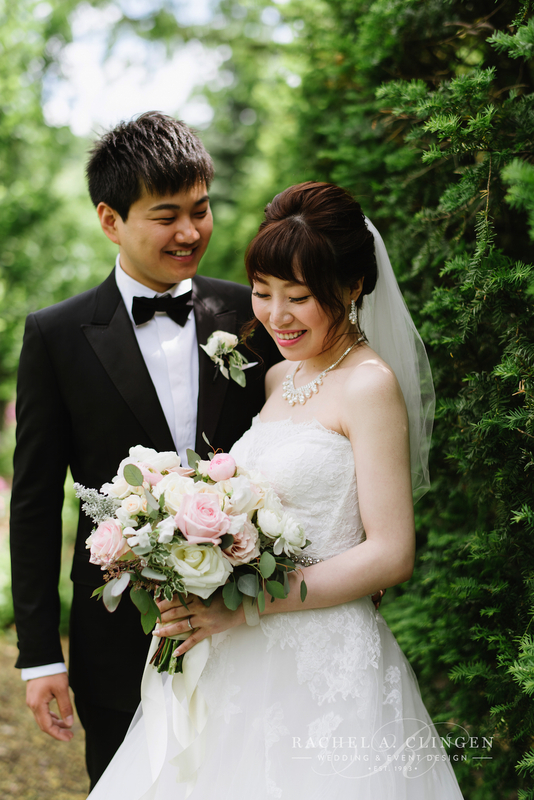 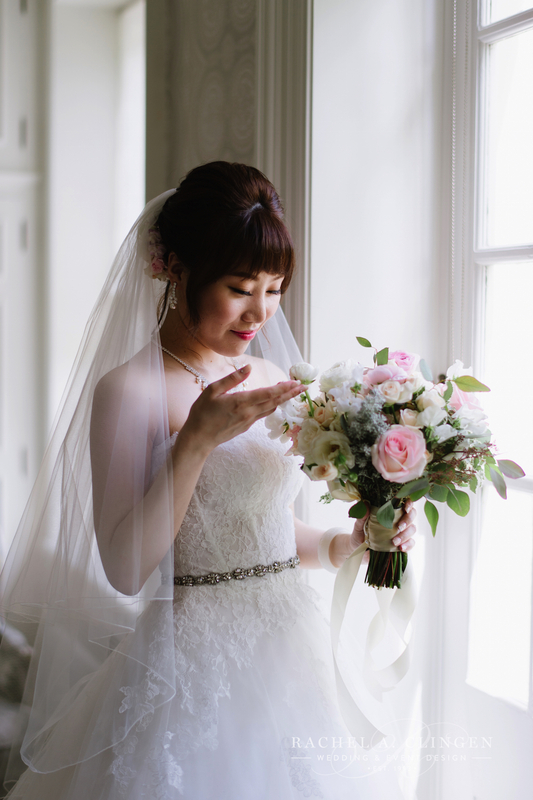 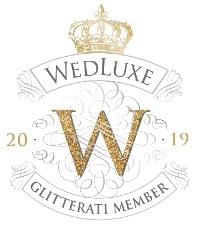 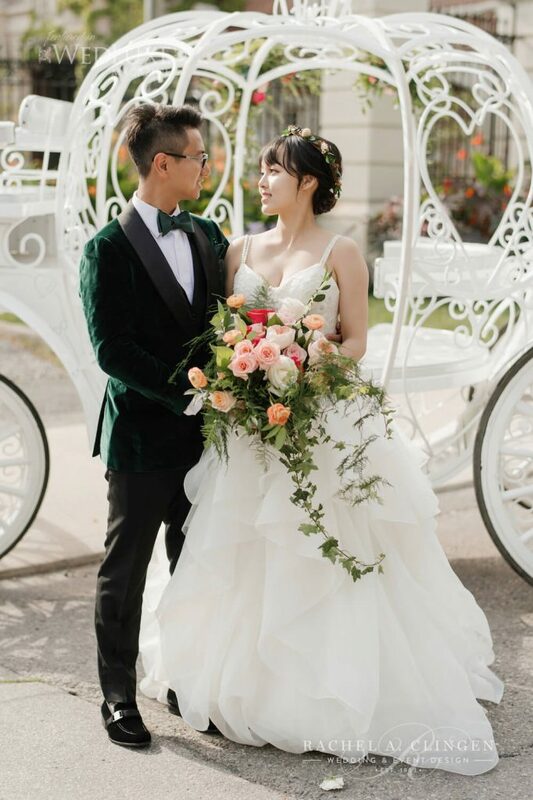 We had the privilege of working along side wedding planner Rebecca Chan which made for a perfect day. 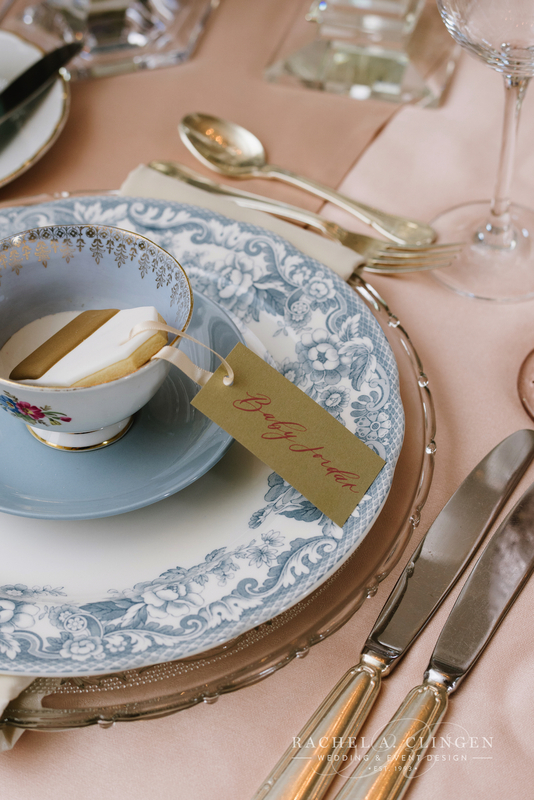 No detail was over looked including the sweetest custom place settings which included vintage tea cups and beautiful coordinated stemware. 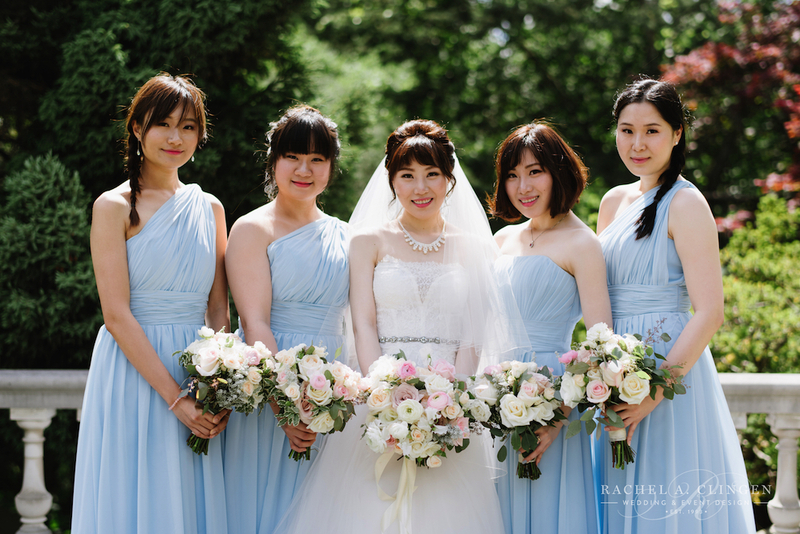 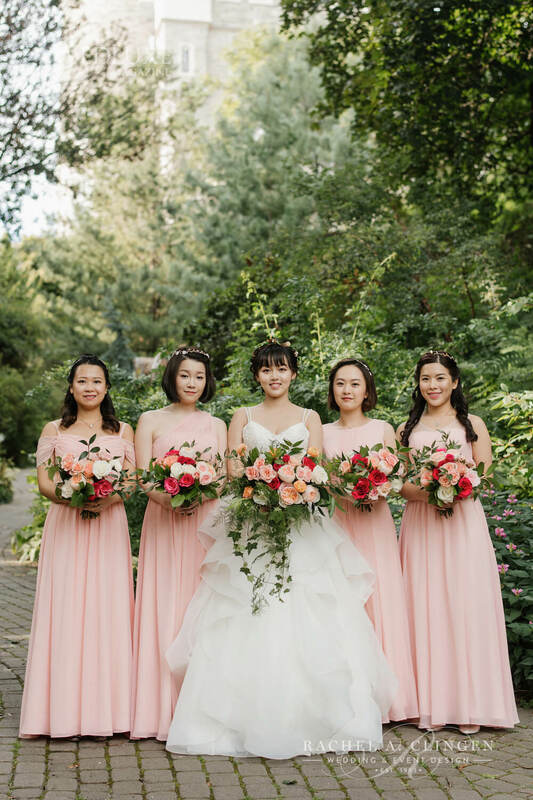 Soft blush and pink floral accented with the soft blue hydrangeas were the perfect accent for Wei’s powder blue bridesmaids dresses. 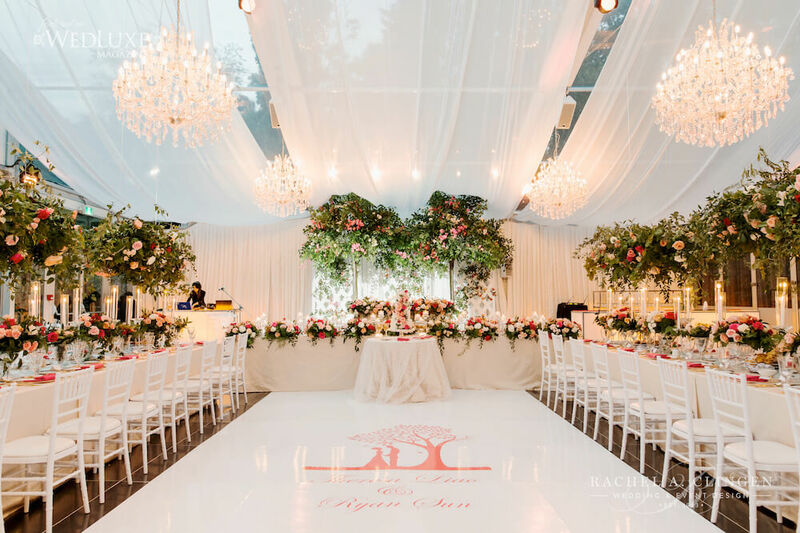 A Graydon Hall wedding is always a pleasure to be involved with but we especially love when the floor plan consists one long table. 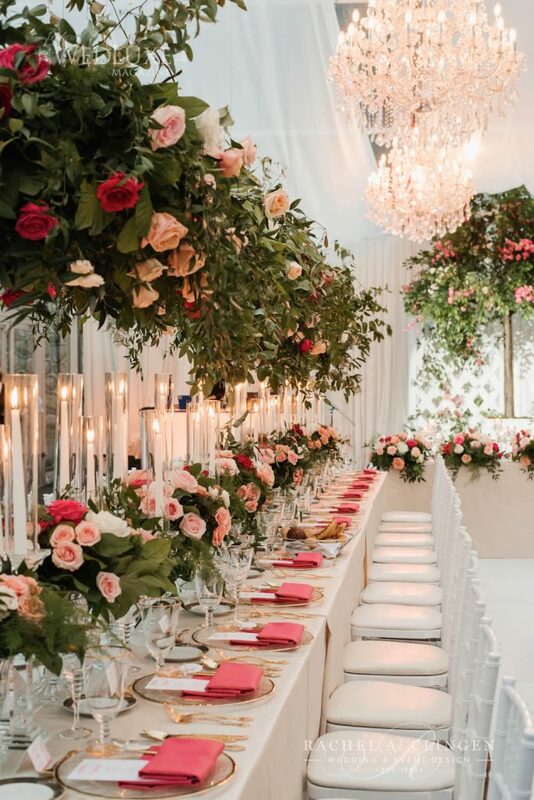 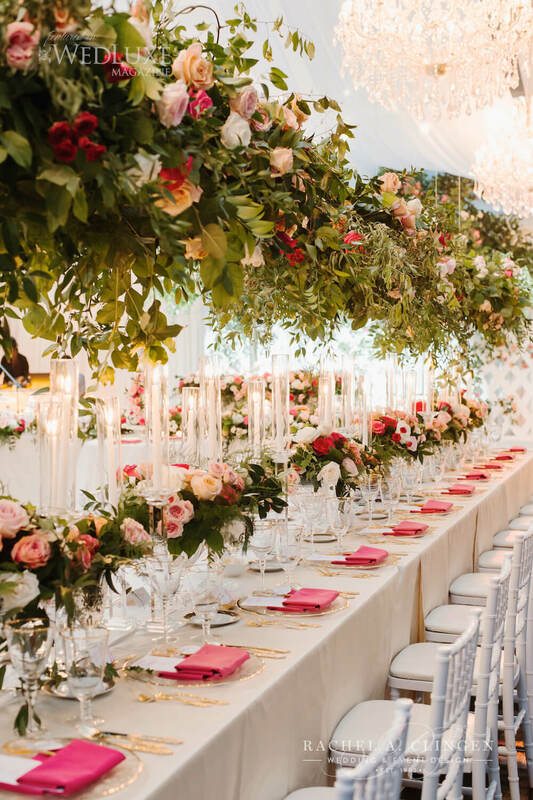 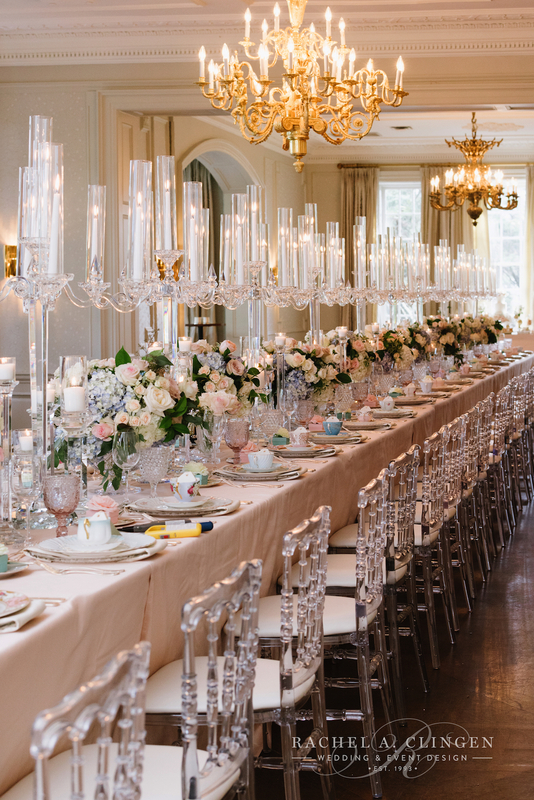 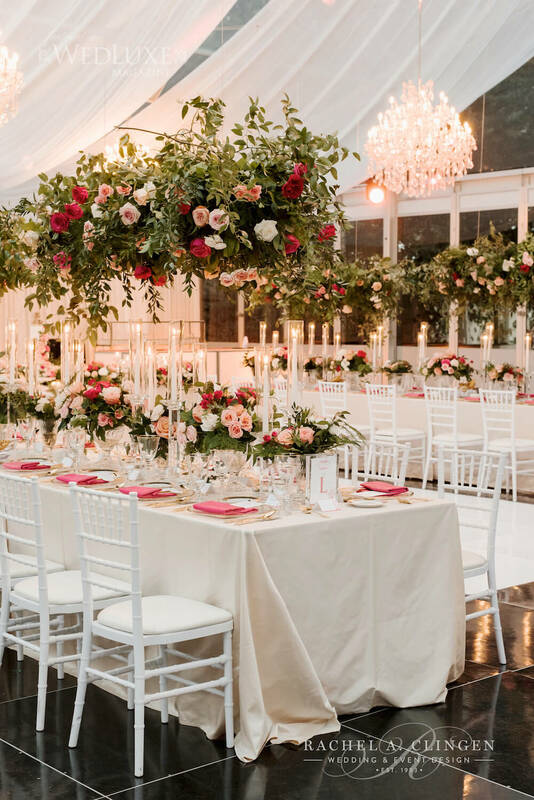 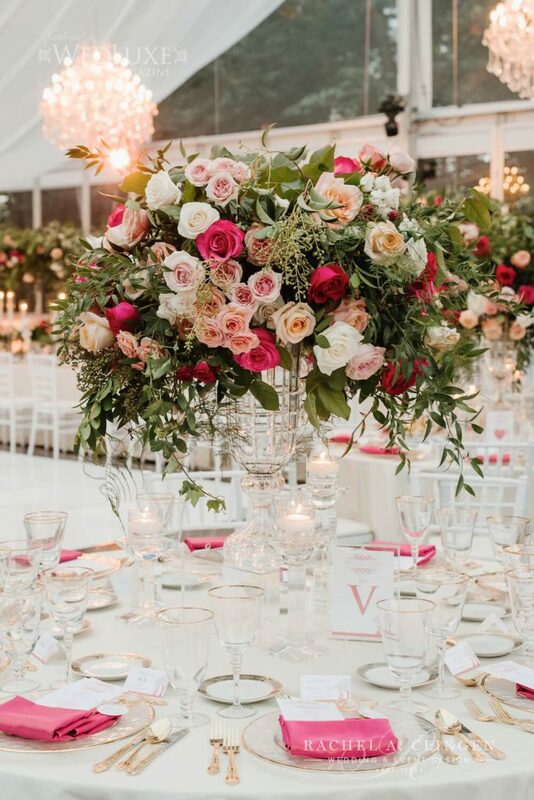 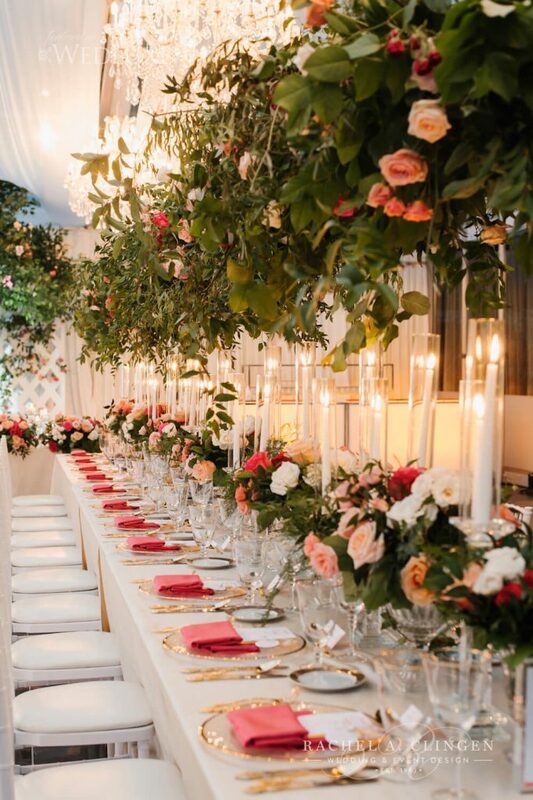 Guests dined at gallery tables accented with our beautiful centrepieces, which included tall sleek crystal candelabras and elegant tall tapered candle sticks. 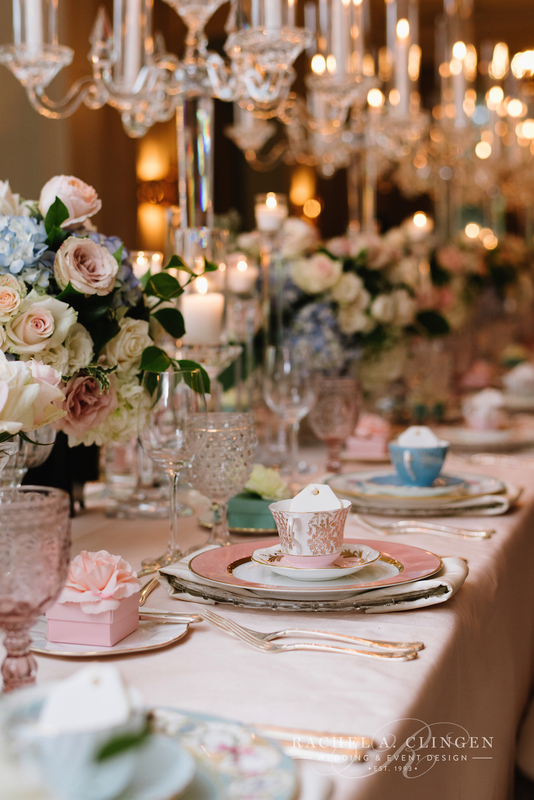 Low fresh flowers in our classic crystal bowls lined the table and there was a sweet table that was a feast for the eyes. 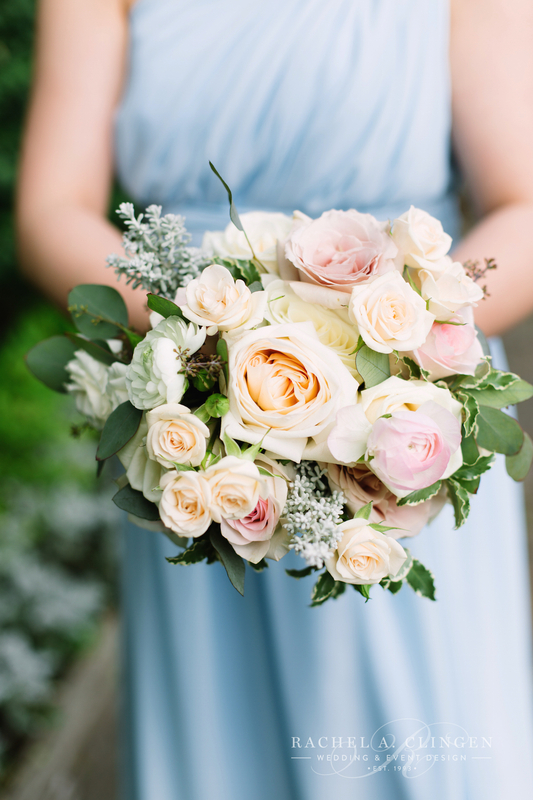 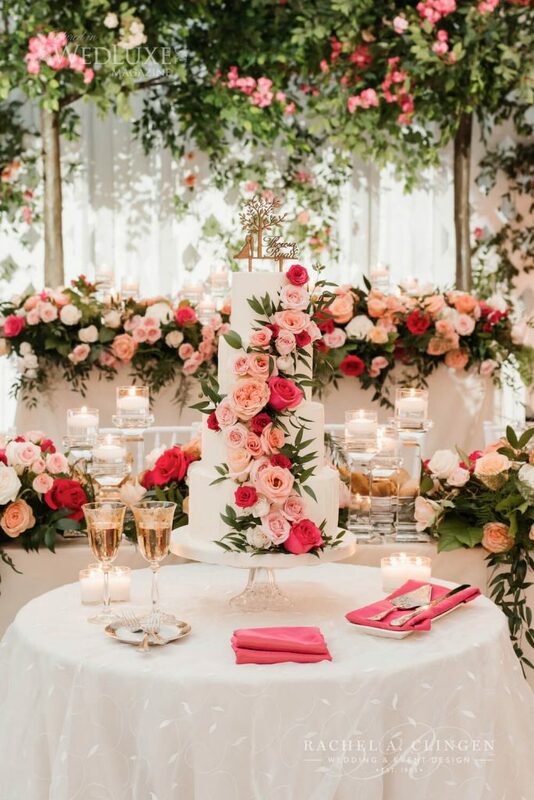 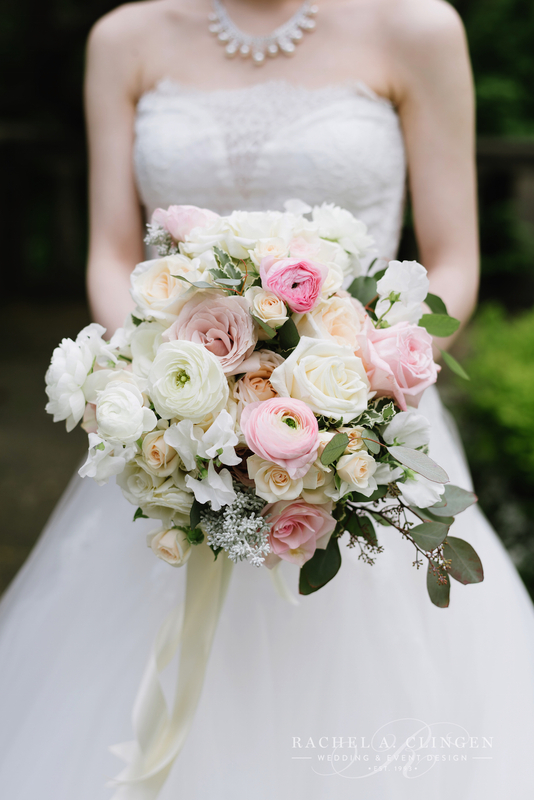 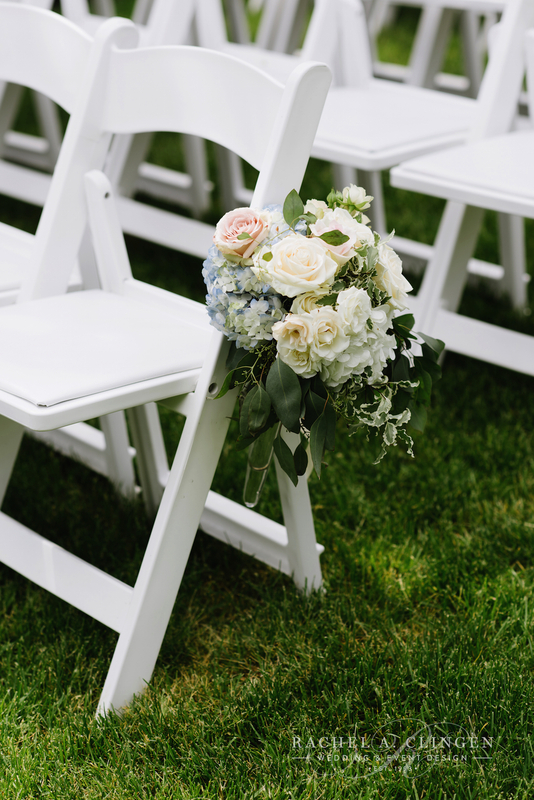 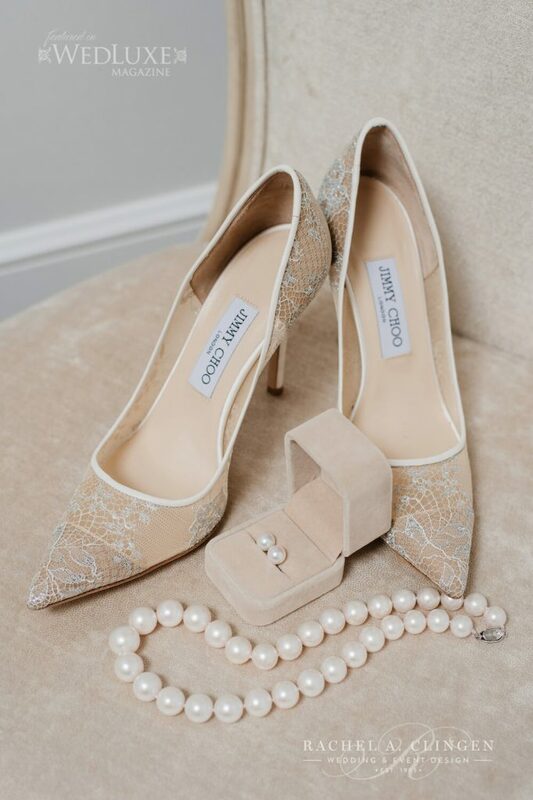 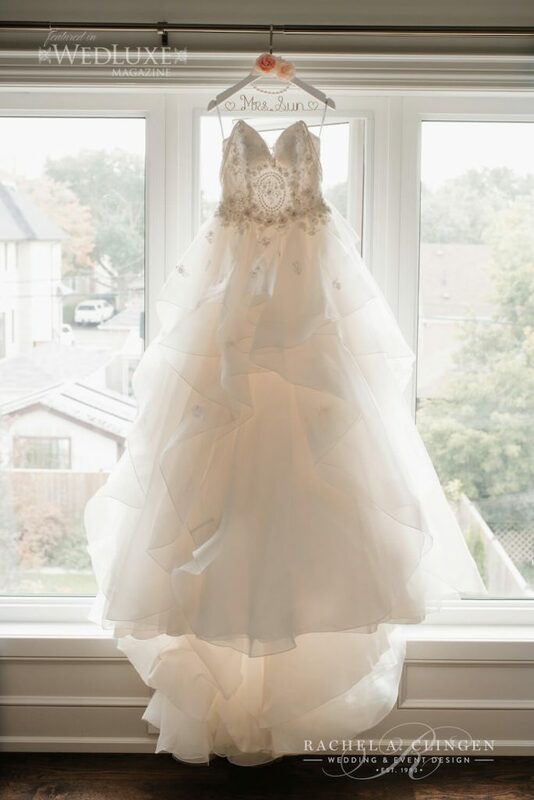 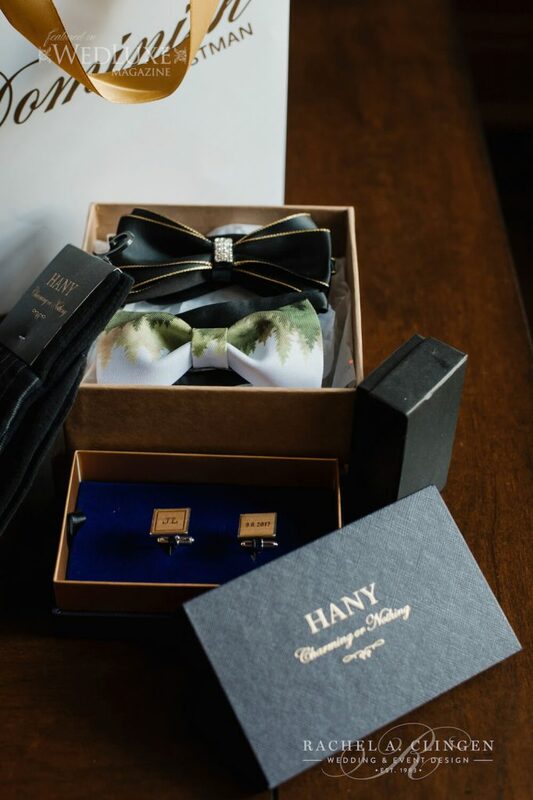 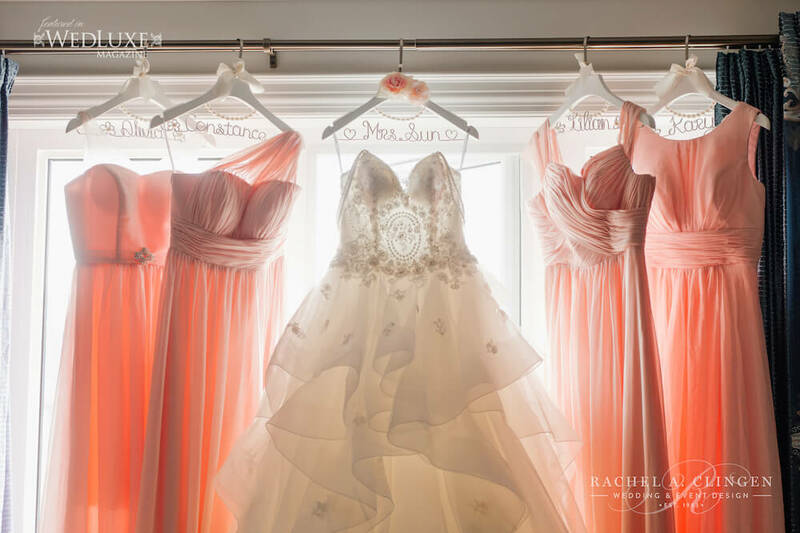 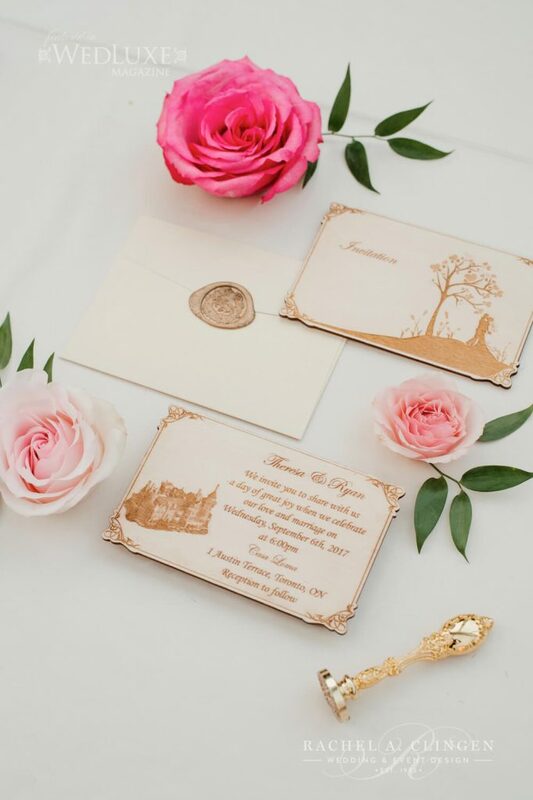 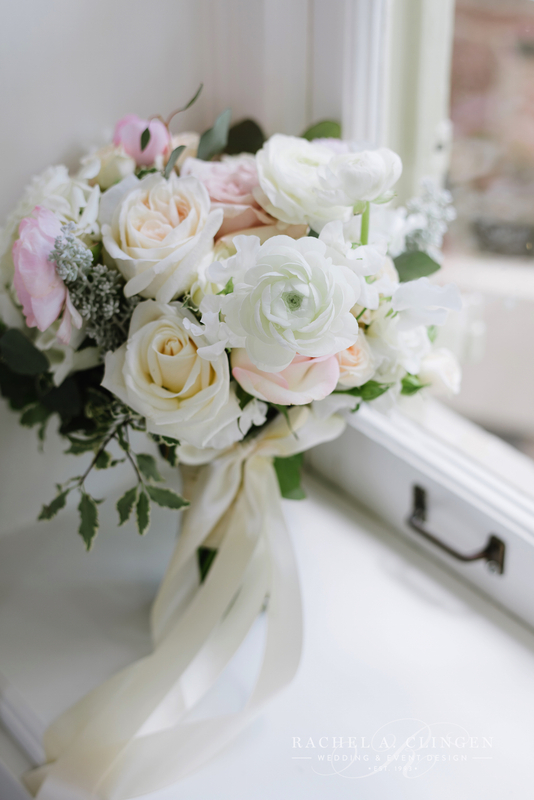 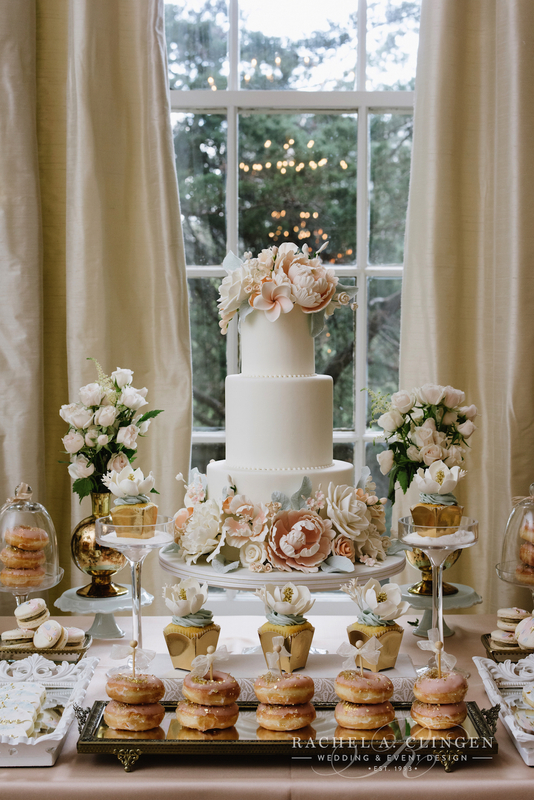 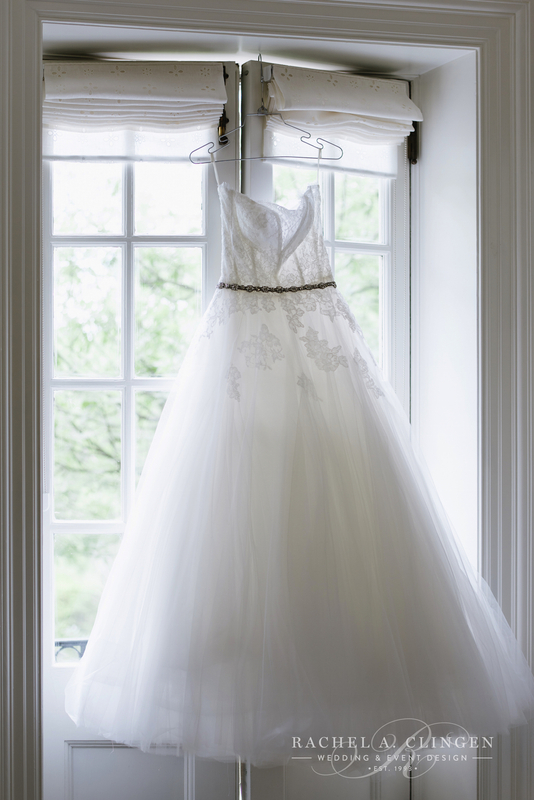 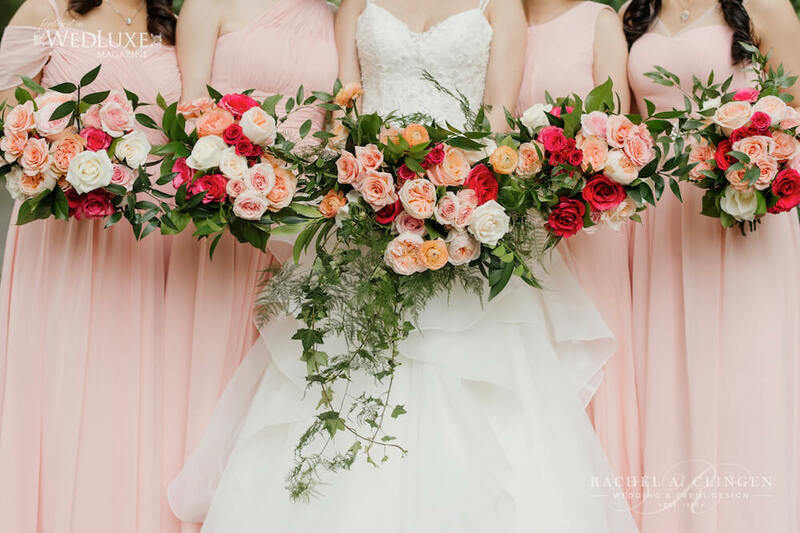 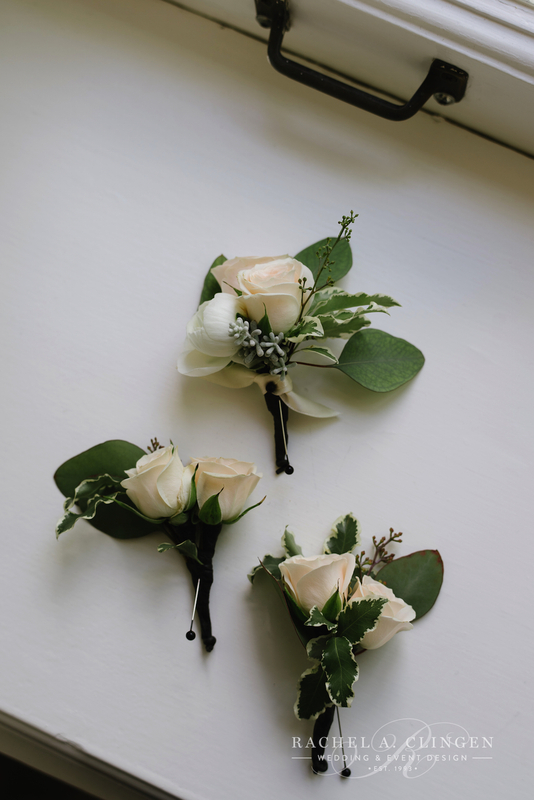 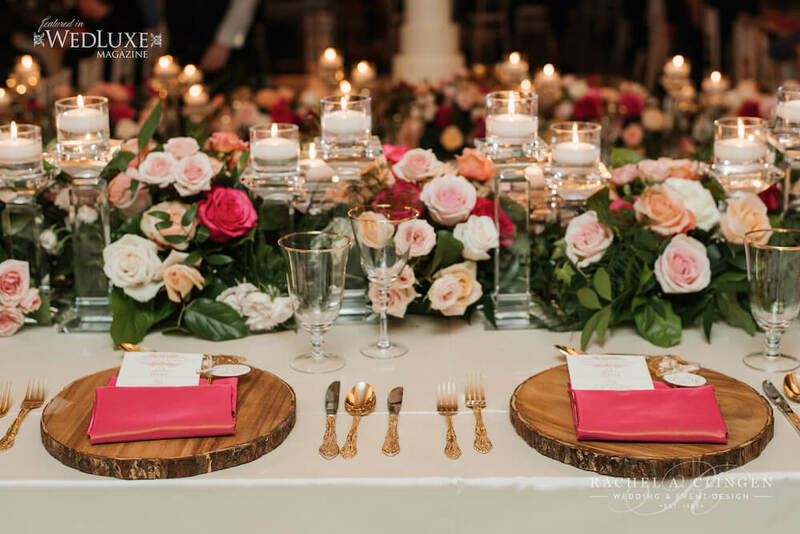 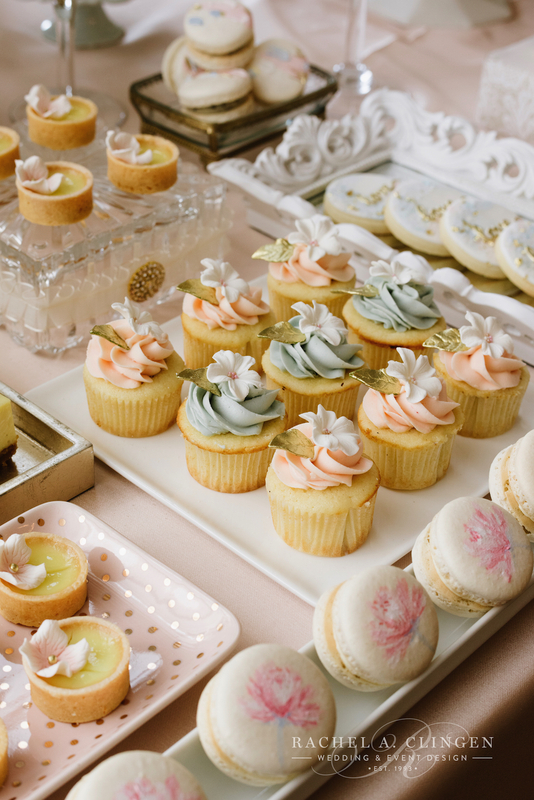 All the lovely details were captured perfectly by our friends at Mango Studios.